The biggest reason to talk about overeating is that it is one of the main causes of weight gain. Nobody chooses to be overweight but at the same time, it can be really hard to not overeat. You might eat healthy meals at home, but when you head out, the tempting junk food might trigger your hunger. Diet forgotten, Right??? Or you may be eating the right food, but not able to control the portion size. In both the cases, the result is “Overeating.” So, how can you deal with it? 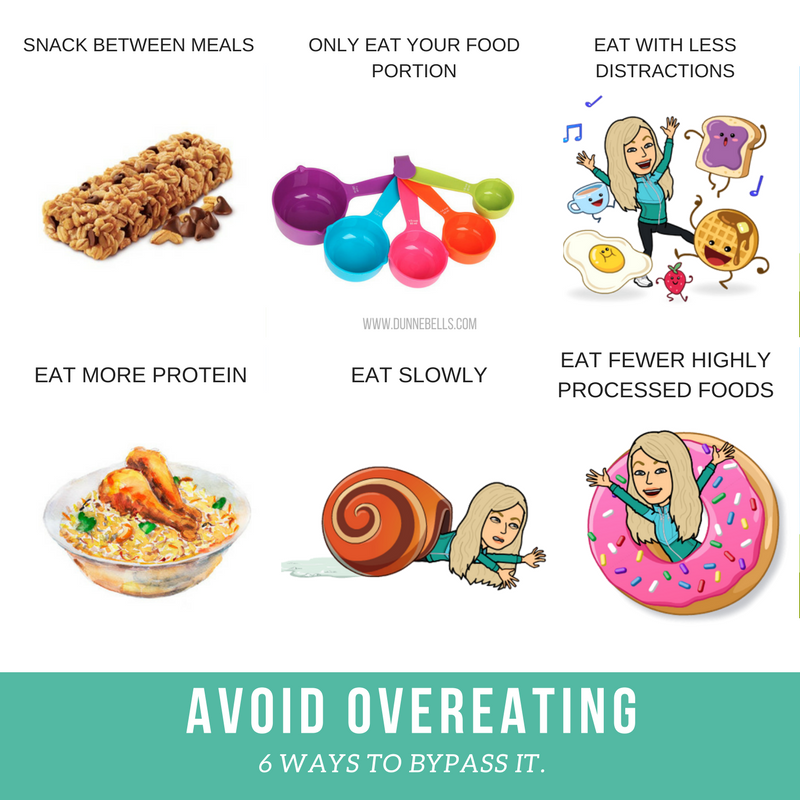 What are the ways to avoid overeating? Well, it’s all about tuning to your hunger signal! This might sound one weird thing to try, but it really works. Snaking healthy between the meals weaken the flavor-calorie association and regulates ghrelin, a hunger hormone. Divide your food into smaller portions. Controlling your portions will prevent you from overeating. You may start using smaller plates for eating and that will help you control your food portions, thus helping to avoid overeating. Distractions can affect your food intake. It can lead you to eat more than you actually intend to. People who eat while watching television often fail to realize when they are full and keep eating until the episode is over. This is because their complete focus is on the current show and not on their body or appetite. As per a study, attentive eating is very helpful in weight loss. People who eat more protein feel more satisfied and less hungry. It also helps in preserving lean body mass which includes calorie-burning muscle. Include food items that are low in fat, high in fiber and protein, like chickpeas, beans, etc. Here is a simple recipe for Delicious and freezable bars LOADED with brain-boosting blueberries and protein. When you swallow food, it takes some time to satiate your hunger. This time is usually between 10 to 30 minutes. Because of this delay, we generally eat more than what actually is required. Moreover, the faster we eat the more ‘not-required’ food we consume. You can even try eating with your non-dominant hand, it will help you eat slower. E.g. : If you are a left-hander, eat with your right hand and vice versa. Highly processed foot tempts you to eat more than what your body requires. As a result, you tend to eat far beyond your actual appetite. This is because highly processed foods affect satiety signals and promote further eating. Have you figured out a great way to avoid overeating? Share with us on twitter @dunnebells or Instagram @dunnebells_ and let us know your feedback.